It’s the little things we so often take for granted. Those little things add up to big things over time though. With that in mind, I sat a couple hours last night marking on a big sheet of paper with several different tools that we probably take for granted on any given day. 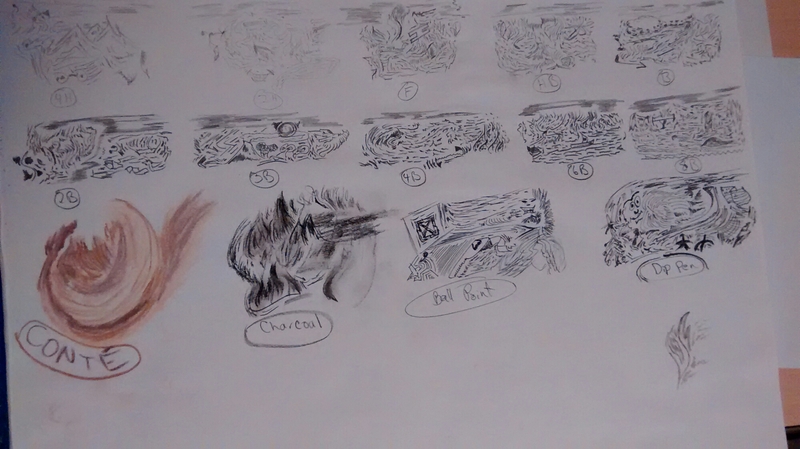 Eight different pencils, conte crayons, charcoal, ball point pen, and dip pens. This was the first step in the Drawing School book that I’m attempting to go through. Honestly, I wanted to skip this step and jump into the meat if the book, but I am so glad I didn’t. This is a method of practice that I am sure will be revisited time and again in the future, especially when purchasing new drawing implements. Armed with a bit of knowledge and a bit more experience, I’m moving on to the next exercise. Wish me luck!